Seeking tranquil and serene accommodation in Jandia, Spain? Then look no further than Apartamentos Alberto! Offering complete privacy and quiet surroundings, this property is ideal for couples, honeymooners and small families. 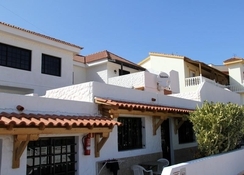 The Apartments are located on the quiet resort of Morro Jable, about 800 meters from the coast. This self-catering apartment offers beautiful views of the sea and its surroundings. A communal terrace with sun loungers is ideal to soak up some sun. A small library in the reception area maintains a good stock of enjoyable books. One can spend endless hours with a good read on the apartment’s sun loungers and completely rejuvenate oneself. 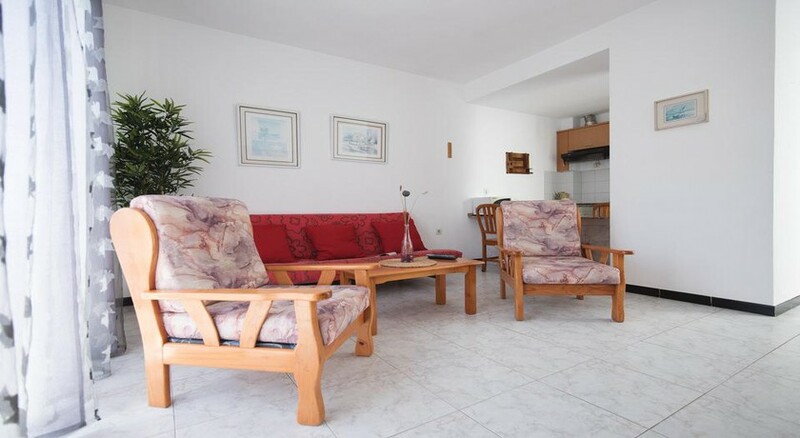 Apartamentos Alberto in Jandia are located at about 300 meters from the beach. It is situated in the fishing town of Morro Jable. One can reach the resort by air from the Fuerteventura Airport at about 86 km. Guests can travel to this small town to get a peek into their culture and traditions. The guestrooms at Apartamentos Alberto are equipped with a balcony and terrace overlooking the majestic Atlantic Ocean. The rooms are modern, spacious and allow for plenty of natural light. A fully equipped kitchen enables guests to cook their own meals. You can enjoy your meals in the balcony or terrace. A TV, fridge and electronic box are available on hire. The accommodation here is categorised as Apartments, Duplex Apartments and Studios. 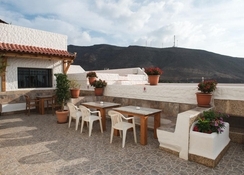 Being a self-catering apartment, Apartamentos Alberto do not have a restaurant on site. However, the area around the apartments is dotted with several restaurants and bars offering various cuisines. In addition, there is a wide variety of bars and cafés close to the hotel. The apartments feature a terrace offering spectacular views of the Atlantic Ocean. Here you can relax with a good read or simply work on your tan! Guests can also hire bicycles or cars to explore the town. One such place to explore is Cofete Beach, which is about 45km from the hotel. This spectacular virgin white sand beach is perfect to have a relaxing walk with your loved one. The island of Fuerteventura is perfect to have an unforgettable holiday! Considered as a ‘Biosphere Reserve’ by UNESCO, the island has over 100km of untouched white sandy beaches with teasing turquoise waters and pleasant temperatures year round! Make sure you plan your visit to Fuerteventura during the summer months so that you don’t miss out of the plethora of festivals organised here. There are several traditional festivals that the island plays host to including Saint Juan parties, Our Lady of Carmen parties, WOMAD (World of Music, Arts & Dance) festival, etc. Extra beds cannot be accommodated in the guestrooms.